According to a new study, published in the Journal of the American College of Cardiology: Cardiovascular Imaging, measuring the amount of calcium build-up in the arteries can help in predicting the risk of heart attack and stroke. The research was conducted by a team of UT Southwestern cardiologists and their findings show that patients who did not have any calcium build-up in the coronary arteries had a significantly lower risk of future heart attack or stroke despite other high-risk factors such as diabetes, high blood pressure, or bad cholesterol levels. For the study, the team examined CT scans of the chest and heart of 6,184 people between the age of 45 and 84 years, who had never suffered a heart attack or stroke before, and were participants in a large, multi-site, multi-year study known as MESA (Multi-Ethnic Study of Atherosclerosis). The results showed that people who showed no signs of calcium build-up had less than a 3 percent chance of a cardiovascular event over the next decade, even though many had other well-known risk factors. Given these findings, researchers suggest that adding a CT scan for calcium may be worthwhile as doctors and patients discuss treatment options. Calcium accumulates in the arteries of the heart after plaque builds up and calcifies over time. This can block the smooth flow of blood to the heart which can lead to a heart attack or stroke. 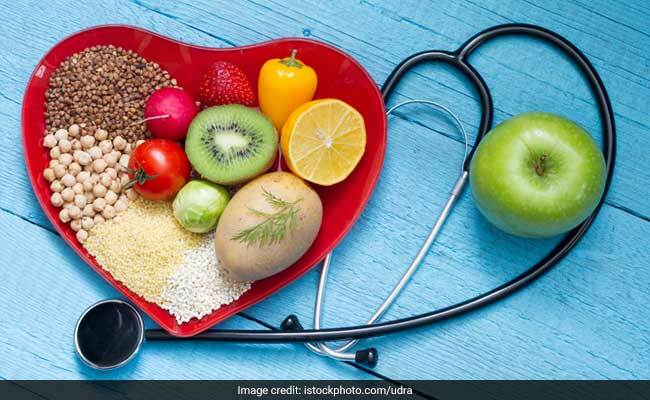 Here are five foods that you must eat daily to protect your heart and ensure healthy heart functions. 1. Oats: Oats are known to contain a type of fiber that helps to bind bile acids and expel them from the body. These bile acids are made from cholesterol. A diet that includes oats can help in lowering the bad cholesterol levels in our body. 2. Nuts: Almonds, walnuts and many more nuts are now considered to be the super foods in promoting heart health. These nuts have high amounts of unsaturated fats, which is good for the heart as it helps in reducing the inflammation of the arteries. 3. Berries: These sweet and sour fruits are packed with antioxidants and help to significantly reduce blood pressure. They also boost the good HDL cholesterol levels and are rich sources of photo-chemicals that aid smooth blood flow. 4. Legumes: Legumes like beans, lentils and peas are great for the heart and have antioxidants, proteins and fiber. They are also a great source to get your folate requirement from. Like berries they also help in increasing the platelet activity. 5. Green leafy vegetables: These are full powerful antioxidants and help in lowering your cholesterol levels and thus, prevent any blockages. You can add spinach, amaranth leaves and mustard greens your diet.